Road traffic accidents can have devastating effects with far-reaching consequences, not only for the accident victim, but also for their family. If your loved one has been involved in a car accident as a driver, passenger, motorbike rider, cyclist, bus or coach passenger or pedestrian, and the accident was caused by another person, then it is their legal right to claim compensation to cover pain and suffering, lost income and other expenses. Car accidents cause injuries which vary in severity, from minor whiplash, which takes just a few weeks to heal, up to serious brain and spinal injuries, which have catastrophic, life-changing effects. And, sadly, many car accidents prove fatal. If your family member has been injured or killed in a car accident caused by the negligence of another party, then you have a legal right to seek justice. Thompsons are dedicated to helping you make a car accident claim in Scotland and our personal injury solicitors are amongst the most successful in Scotland. Making a claim for compensation following a car accident is not just about money – after all, for those with more serious injuries, a damages award cannot turn the clock back. However, for anyone who has been involved in a car accident, making a compensation claim can have a number of benefits. Firstly, if you choose not to make a claim but cannot go back to work following your accident, Statutory Sick Pay offers a limited level of payment and is only available for 28 weeks. If you are still suffering the effects of an accident and are not fit to return to work when this time period ends, you could find yourself either returning to work before you should and struggling to carry out your required tasks, or you won't be able to return to work at all and you will not be paid. By making a claim for compensation, Thompsons car accident solicitors in Scotland will ensure that your damages award covers all your pain and suffering while also allowing for all lost income, including overtime and bonuses and, if you are unable to go back to work, the loss of future income as well. Plus, if you need specialist medical and rehabilitation therapies following a car accident, the NHS can't offer some of the treatments and equipment available privately. When appropriate, a compensation claim can cover the cost of private treatment and specialist equipment not available on the NHS. It also means you can potentially gain access to treatment more quickly than on the NHS. Sometimes we hear clients, especially those in more minor accidents, say they don't think the other party will be able to afford to pay compensation, so why should they bother making a claim. It is never the driver who pays compensation. Generally, the driver's insurer will be responsible for settling a claim, and if the driver of the other vehicle was working at the time of the accident, it will be the employer's insurer who pays out in a personal injury claim. If the accident victim is able – i.e. has full mental capacity and is physically able – he or she will need to make the claim themselves (through a compensation lawyer if they so wish). However, friends and family can assist the claimant in lots of practical and supportive ways, such as helping the claimant get to and from meetings and generally assisting in the process of making a claim because sometimes this can be complex and challenging. In cases where a family member has died following a car accident, a dependent can make a claim. The claim must be brought within three years of the death or within three years of the date of the accident. If, following a car accident, your family member no longer has mental capacity, ie. they cannot make decisions for themselves, the limitation period is interrupted from when mental capacity was lost. As such, cases can still be pursued outwith the usual three year limitation period in personal injury cases. However, specialist legal advice should nevertheless be sought at the earliest opportunity. The time following a serious car accident will be extremely traumatic for the family, and Thompsons is committed to working with the family as sensitively as possible while ensuring the family's rights are maintained and justice is sought. When someone dies or loses mental capacity as a result of a road traffic accident, we will be at your side to help you through the legalities of making a claim on behalf of your loved one. If the child is under 16 years of age, you can act as their legal guardian in a compensation claim. However, if you were responsible for the incident you cannot act as their legal guardian. Another third party will need to be appointed. Talk to Thompsons today and we will be able to advise you on how to make a compensation claim for a child injured in a road traffic accident. In cases involving young people, the usual three year limitation period begins to run from when the young person reaches the age of 16. So, for example, if a child of 14 is injured, they would have until the day before their 19th birthday to either settle the claim or serve court proceedings. However, in most cases a parent can act and matters can be settled within normal timeframes. Can we make a claim if the injury happened abroad? If the accident happened abroad it is important to act quickly as certain countries have shorter limitation periods. Cases can be raised in Scotland, but it is important to get personal injury claim advice as soon as possible. For more information please click through to our Foreign and Travel Claims section. Thompsons is one of Scotland's leading personal injury firms with a dedicated team of car accident solicitors helping claimants get the most comprehensive package of compensation in the shortest time possible. You can read about some of our successful road accident claims here. 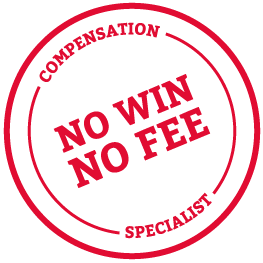 We pride ourselves on always working for individuals (the claimants) and never for businesses and insurance companies (the defendants) and provide access to justice by offering a No Win No Fee package that protects claimants from legal fees should they lose their case. You can talk to us today about your loved one's circumstances following a road traffic accident by calling 0800 0891 331 so that we can help you help them understand the benefits of making a claim. Or for more information about making a compensation claim, our road accident FAQs page answers the most common queries we hear.